Shark vs Dyson: Which is the Better Vacuum Brand? Bag vs Bagless Vacuum Cleaner: Which is Better? What Are the Benefits of Going Bagless? What Is the Best Dyson Vacuum Cleaner to Use? Shark is a vacuum cleaner brand that is constantly on the cutting edge of innovation. They are the only current vacuum brand that offers a dual brush roll, for example, which they call “DuoClean Technology.” This design allows for an incredible amount of dirt and debris to be removed from a carpet or hard floor in a single pass without spraying dust everywhere. Dyson is another vacuum cleaner brand that has built a reputation for reimagining how a mundane chore like vacuuming the carpet can be done better. Their innovation has focused on providing high levels of consistent suction, while adding maneuverability through ball technologies that Sir James Dyson initially invented for the wheelbarrow in 1974. This has created a unique Shark vs Dyson debate. Do you go with the traditional designs with improved features that Shark offers? Or do you go with the innovative changes that have disrupted the vacuum cleaner market by choosing a Dyson vacuum, albeit at a higher price for most models? Which vacuum cleaner brand is worth the money? One of the best stick vacuums that is on the market today is the Shark Rocket TruePet with DuoClean. It is the most advanced ultralight vacuum that is currently within the Shark brand, giving users the chance to remove large items easily with the soft brush roll whole being able to remove stuck-on dirt and debris. It weighs less than 5 pounds. Shark has incorporated traditional Rocket features into this advanced vacuum, including the ability to use the product as a handheld vacuum instead of a stick vacuum. It is designed to never lose suction and the powerful motor does an excellent job of providing one-pass solutions for carpets with difficult plush. It also comes with a motorized brush and under-appliance wand, allowing for a deep cleaning experience on furniture, upholstery, drapes, and other hard-to-reach or clean places. 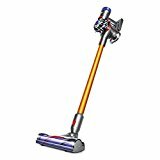 The Shark Rocket TruePet with DuoClean does retail at a premium price point that is comparable to entry-level Dyson products. The V8 is balanced extremely well, even when the motorized head is on the vacuum. It is a cordless vacuum that provides up to 40 minutes of cleaning power, though if the maximum setting is always used, the length of vacuuming time is reduced by 60%. It is designed to never lose suction and the HEPA filter removes allergens and asthma triggers with regularity. This vacuum includes an electric wand set, the Dyson mini-motorized tool, a crevice tool, and a combination accessory tool. Storage occurs through a docking station. 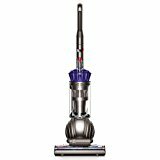 The Dyson V8 Absolute Cordless HEPA vacuum cleaner offers the best residential cleaning experience, but at commercial pricing. Both vacuums perform extremely well. Though the Dyson vacuum does provide a stronger suction and slightly better balance, the differences are negligible for all practical purposes. Both vacuums operate in a similar way. Because you save 50% by purchasing the Shark vacuum, it earns our recommendation in this comparison. 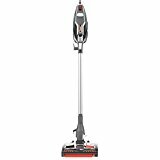 The Shark Rotator Professional Lift-Away vacuum, model NV501, is an excellent bagless vacuum cleaner option for those who have medium-to-large spaces that need to be cleaned. It features a premium pet power brush that picks up debris, pet hair, and dander with extreme prejudice. It is also one of the few upper-tier options by this manufacturer that offers a true HEPA filter experience. Shark has also equipped this vacuum with a swivel steering feature that makes it easier for users to maneuver an upright into tighter spaces. If you have stairs or carpeted nooks and crannies that need to be cleaned regularly, this vacuum can take on the job with relative ease. To make sure you’ve picked up the dirt or debris in the carpet, there are LED lights at the front of the head that let users see where that stuff is lurking. Because it is a lift-away model, this vacuum can transform into a handheld model if desired. It comes with a full suite of accessories and the debris container holds up to 1.3 dry quarts. Dyson has created several wonderful lightweight vacuums over the years, but their best may be the Dyson Ball DC40 Origin. This vacuum is surprisingly lightweight at just 15.6 pounds, which is about 25% under the industry average for weight with this style of vacuum. The primary feature is the self-adjusting cleaner head, which seals in the suction produced by the vacuum on any type of floor. Users can vacuum across carpet, tile, laminate, vinyl, or wood flooring and have an excellent cleaning experience without losing any suction during the transition. There is noticeably less dust and debris kicked up from hard floors when using the DC40 Origin as well. Another standout feature with this Dyson upright is the radial root cyclonic technology that is included with the vacuum. Based on the traditional Dyson designs that have disrupted the global market since 1993, there is noticeably more fine dust that gets picked up with this vacuum cleaner. The Dyson DC40 Origin is one of the more affordable upright options that is offered by this vacuum manufacturer, but it is still about 40% more than a comparable Shark model. Although both vacuum cleaners offer an excellent cleaning experience, the Dyson vacuum offers a true one-pass opportunity with the upright design. Maneuverability is about equal, although the designs are very different between the two vacuums. Shark has an advantage in that it can turn into a handheld vacuum if necessary, but Dyson, in our view, offers a better vacuum because of its ability to transition seamlessly between flooring types with the added flexibility of the ball technology. There is one caveat to this recommendation: if your home is wall-to-wall carpet, the Shark vacuum would provide a similar experience and better overall adaptability. For homes that have multiple types of floors to clean, the Dyson offers a superior experience. Shark has created a canister vacuum that patterns the benefits of the upright Lift-Away technology. It is a lightweight canister vacuum with plenty of reach and HEPA technologies to reduce the risk of allergens. This vacuum has a completely sealed dust removal process. You can clean area rugs, drapes, and bare floors with effective ease using this vacuum. It also features a powered brush on a motorized head, allowing the user to duplicate the traditional upright experience. This vacuum also has the lift-away mode, allowing for handheld use in tight spaces or stairs. It is guaranteed not to lose any suction while operating. An on-board storage container keeps the accessories handy, including a dusting brush that is useful for sensitive areas. This vacuum also comes with Shark’s version of a pet power brush, making it simple and easy to remove pet hair from furniture and upholstery. Dyson has created an effective upright vacuum that uses 36 kinetic tips to maintain suction. It’s a different design than a traditional canister vacuum, but it creates a similar experience for the user. With the added suction, the vacuum to continue operating, even under difficult and dirty conditions. If the carpet is heavily soiled and needs to be cleaned often, the technology with this Dyson vacuum is so efficient at dust separation within the unit that you never need to replace a filter or wash the mechanisms. Stiff nylon bristles compliment the cleaning process, making sure to dig deep into carpet fibers to remove trapped dirt, pet hair, and other debris. It also comes with the tangle-free turbine tool so that pet hair from upholstery and furniture can be removed without a big mess. An articulating wand, which rotates 360 degrees, gives the user full control over the cleaning process. Dyson’s DC65Animal Upright will also right itself if it happens to topple over, which is an incredibly useful feature. There are no bags that need to be purchased with this vacuum and the canister efficiently removes the collected dirt and debris so your hands never need to reach into the container. The Shark Rotator Powered Lift-Away Canister NR96 vacuum and the Dyson Cinetic Canister vacuum perform equally well in any given situation. Both offer a canister experience, lightweight movement, and effective cleaning on virtually any floor surface. The only real difference between the two is their design. The Shark canister vacuum is built more to carry with you and has a squared, compact type of build, whereas the Dyson canister vacuum is designed more to move with you as you pull the hose along, sort of like a Shop-Vac. Even in price, these two vacuums are not that far apart. Choose the design that works best for your needs and you’ll have an outstanding vacuum cleaner. For most homes, the upright vacuum design is the most effective. It provides a wide and thorough cleaning experience for fast carpet coverage. 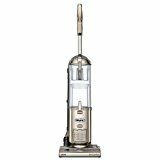 The Shark Navigator Deluxe NV42 upright vacuum is an entry-level example of what this brand can provide. It is a vacuum that is lightweight at 15 pounds, but still powerful enough to compete with the more expensive models. There is a bottom-release dirt canister and a pet hair pick-up system that is included within the design of this vacuum. Users will also receive multi-floor compatibility even though this is an entry-level vacuum by Shark. There is an option to turn the brush roll off on this vacuum, making it useful for bare or hard floors. The vacuum will not leave scratches on hardwood floors either. It is possible to transition from a deep carpet to a laminate floor in just seconds. This vacuum comes with a 5.5-inch crevice tool, a dusting brush, and an upholstery tool that does a decent job of picking up pet fur. The canister holds 1 dry quart of dirt and debris, which is filtered through a 3-step process. Shark has priced the NV42 to be competitive with vacuums that are from brands that have more of a “value-based” reputation. It is highly affordable. The Dyson Compact Multi-Floor Upright is a similar design to their other vacuums which incorporate the ball technology, but is designed more for smaller spaces. It weighs just a little over 12 pounds and offers up to 42 feet of total reach between the hose and power cord. The cleaner head on this vacuum offers carbon fiber filaments that allow it to remove fine dust from virtually any carpet. This vacuum’s design is also built for storage in small spaces when necessary. The handle is retractable on this Dyson model, which reduces the amount of space required for storage by up to 50% when compared to the traditional upright vacuum. It also has the self-adjusting technology included on the cleaning head for seamless transitions. You’ll find that this vacuum is a very effective upright vacuum. It’s essentially the DC50 model from previous years, but with a new name.You’ll want to make an investment into the tools and accessories that are available from Dyson to get the most effective use out of this specific model. You could add it at a later time if you prefer, thanks to the available Dyson vacuum accessories that work with most vacuum models. This Dyson vacuum is priced at a premium level, comparable to other vacuums produced by this manufacturer. The Shark NV42 has a lot of potential, but as an entry-level vacuum, it is priced more for convenience than power. It may cost more to bring the Dyson into your home, but in return, you’ll receive a better level of clean for your floors, carpet, and furniture with a single pass. If you’re shopping on a tight budget, however, the Shark NV42 is one of the best vacuum cleaners on the market today that is priced for less than $150. It may not offer one-pass convenience, but it will still get the job done. Shark is a vacuum brand which offers premium experiences for prices that don’t reach as high as a Dyson vacuum. Most vacuum brands today are charging about the same price that Shark does for similar vacuum models, including traditional value brands, such as Bissell and Hoover. The difference here is that you’ll receive a premium experience with Shark that is closer to an entry-level price. You won’t find a $50 vacuum that is brand-new with Shark. What you will find is a reputation of consistency that other brands just don’t provide today. The number of units that malfunction or need repair within 12-24 months after purchase is greatly reduced with this brand compared to others that offer entry-level products. When Dyson vacuums were first introduced, they were treated more as a status symbol than a needed household item. As the years have passed for the brand and technologies have improved, the price points for a Dyson vacuum have remained relatively stable. At the same time, value brands have been increasing their pricing. You can also call the Dyson helpline at (866) 693-9766 for assistance. 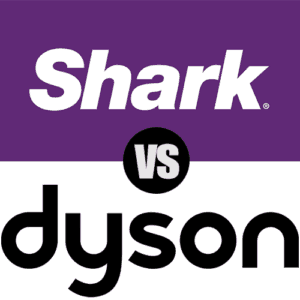 Shark vs Dyson: Which Vacuum Cleaner is Right for You? By comparing similar models, it becomes possible to discover the key differences that each vacuum in the Shark and Dyson brands have with one another. This makes it much easier to determine which model can best meet the specific needs of your home. It is true that you’ll likely save money by purchasing a Shark vacuum today. It is also true that you might save more money over a 5-year period by purchasing a Dyson vacuum today. Most vacuums that are offered at entry-level pricing will last between 12-24 months. When regular maintenance is provided to the vacuum, some entry level models can make it to 36 months. Over the course of 5 years, if you’ve had to purchase two cheaper vacuums that are covered in the same period as the Dyson guarantee, you’ll have essentially spent the same amount of money. This is the question to ask yourself: are you wanting to make the investment now or do you want to make it later down the road? Shark does offer some comparable vacuum models to Dyson. They offer potentially better vacuums than a value brand, with some entry-level Shark vacuums priced competitively with discount retail store items. Dyson provides a premium experience from start to finish.